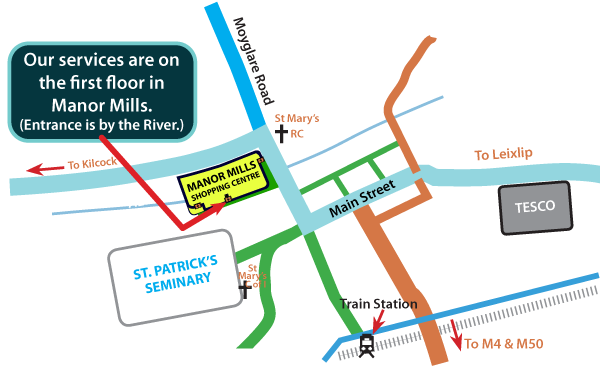 MCC meets for worship every Sunday morning at 10.30am on the first floor in the Manor Mills Centre, Maynooth. Getting to us is very straightforward whether you are joining us on foot, by public transport or in your car. 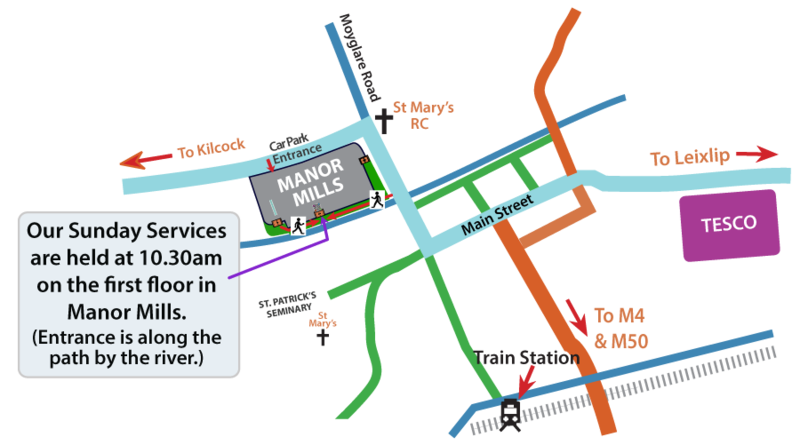 If using the underground car park in Manor Mills, just come up the escalator to the first floor and then exit the centre by the glass doors directly behind the escalator. Our entrance is 25 metres from there on the left hand side just past Chill Restaurant. You will see our sign outside the door.